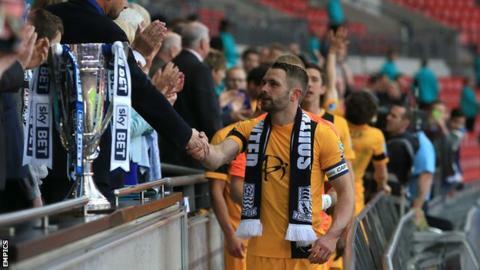 Southend United captain John White has signed a new two-year contract with the League One club. The 29-year-old defender has made 95 Shrimpers appearances since joining on a free transfer in 2013 after leaving Essex rivals Colchester United. He captained Southend during their League Two play-off final victory over Wycombe Wanderers in May. "I'm really pleased to have agreed a new deal with the club," White told the club website. "It's been great here since I came and the last two years have been successful with the play-off finish and then promotion at Wembley last season. "The fans have always been good to me, my family and I are settled in the area and I love playing for and captaining the club."